Every year, during the month of June, people around the world commemorate LGBT Pride Month. This is an opportunity not only to celebrate an authentic self but also the work of people before us who were brave enough to fight a system that despised them so that we could have a better life. Nothing says, “we’re here, we’re queer” better than wearing your flag proud. 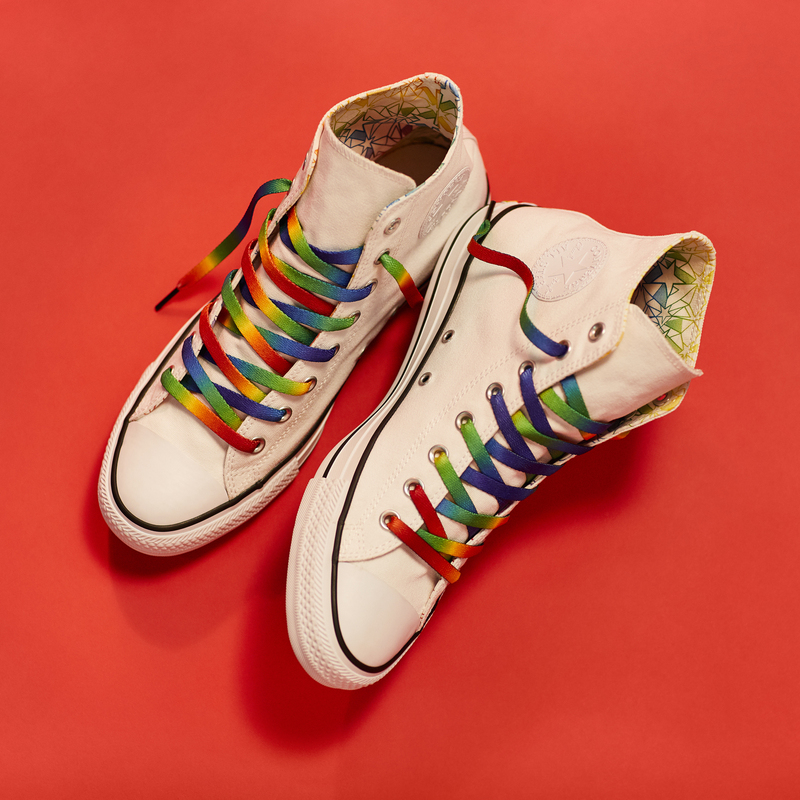 And for a few seasons now, retailers and designers alike have been standing up for the LGBT community by releasing limited-edition collections to commend Pride season. But in a sea of dazzling butterflies, how do you stand out? By wearing something as colorful as our rainbow flag. 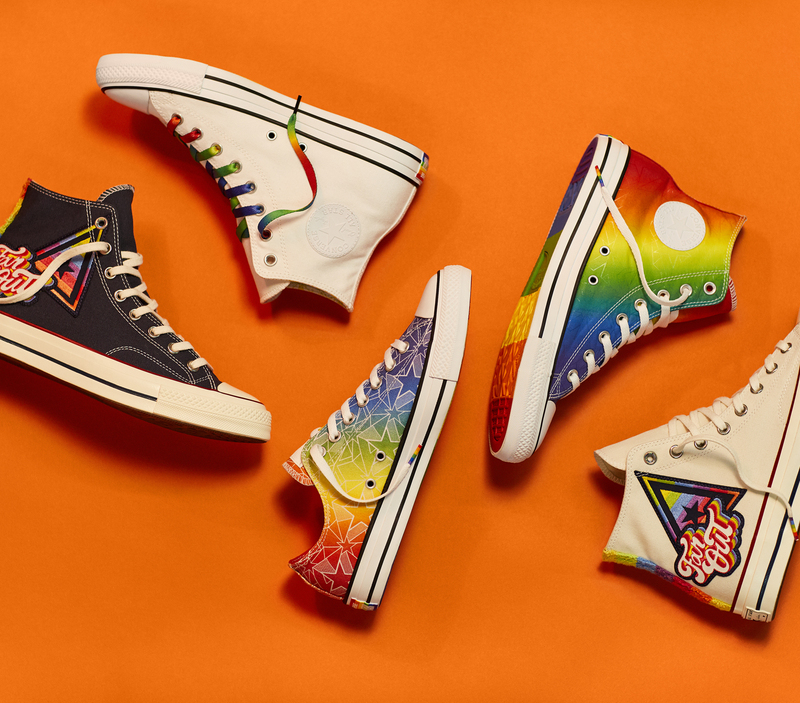 For example Converse Pride Collection 2017. 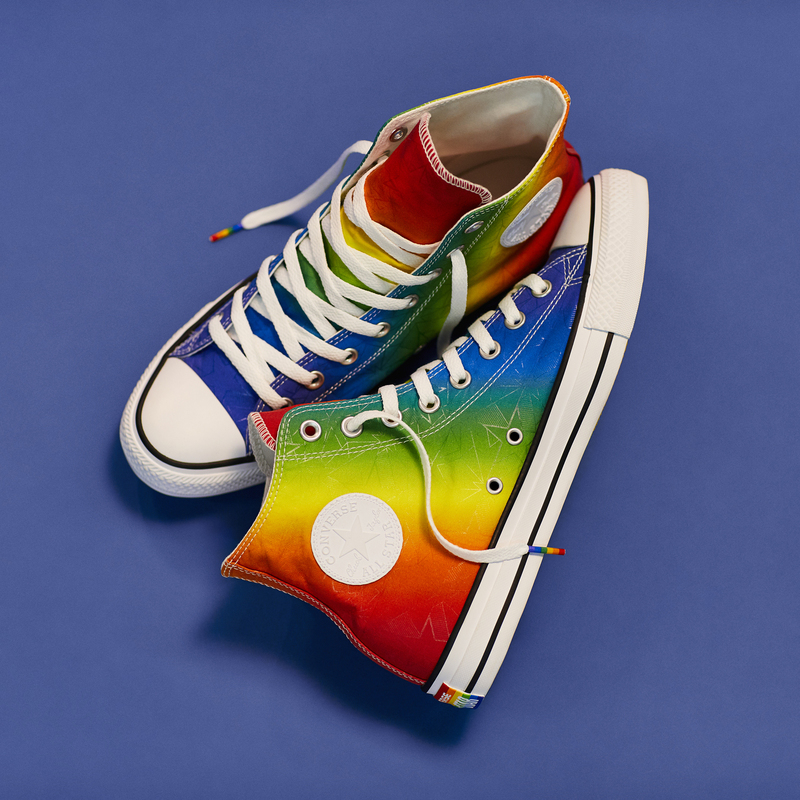 The brightly colored and boldly detailed line consists of a compilation of iconic Chuck Taylor All Stars, and Chuck Taylor All Star 70s – with pride-inspired rubber outsole and Chuck patch. 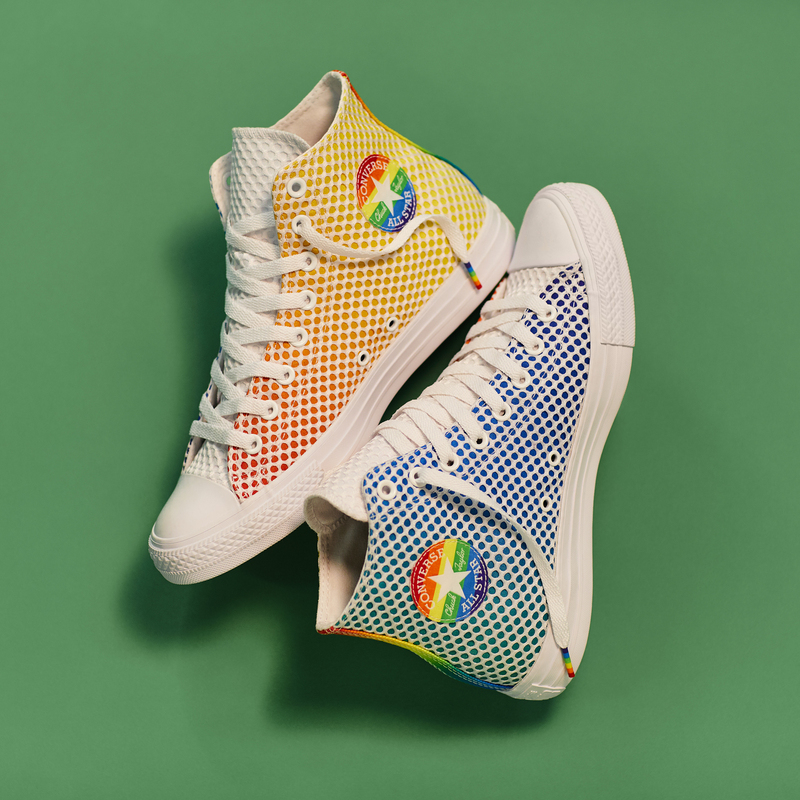 These Converse Pride sneakers celebrate LGBTQ communities. 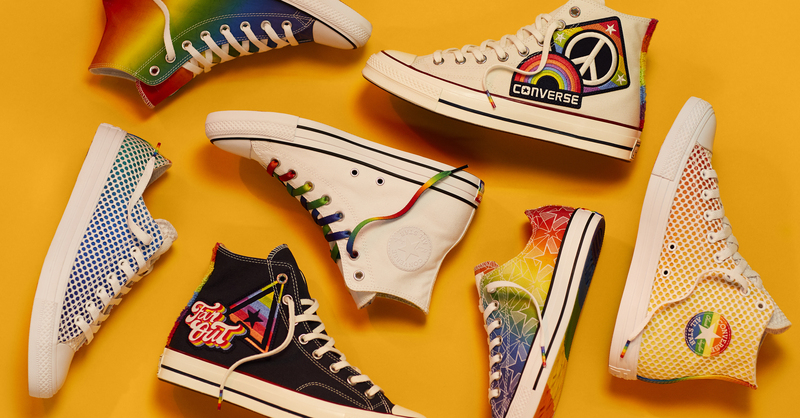 Through the collection, Converse says YES TO ALL, standing with the belief that whatever your gender, sexual orientation, or identity, everyone is free to be who they are. Moreover, net proceeds of direct sales from the 2017 Pride Collection will go to It Gets Better and The Happy Hippie Foundation, two organizations that support the mission to create and inspire positive outcomes in the lives of lesbian, gay, bisexual and transgender youth around the world. 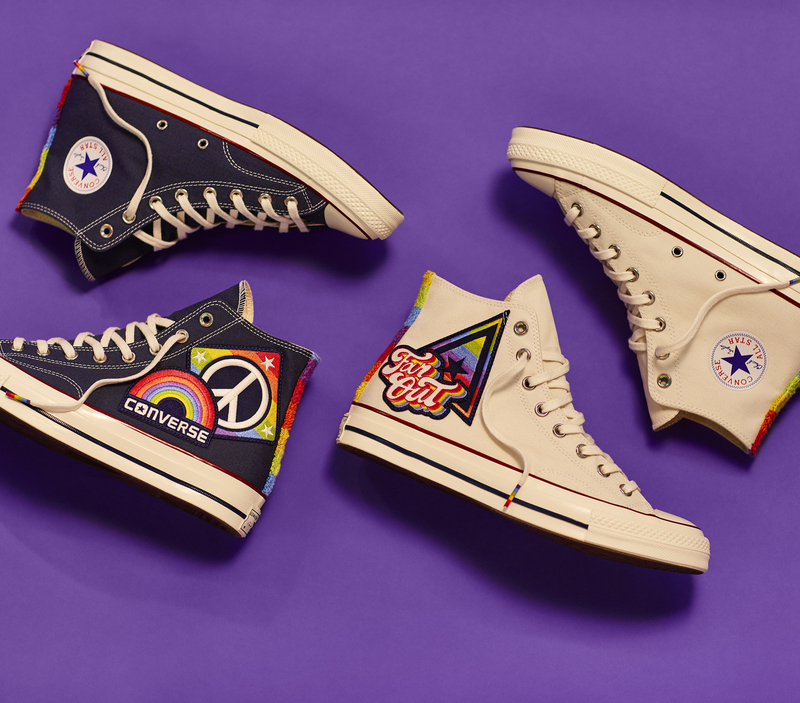 You can get the Converse Pride Collection in Converse stores and on Converse.com now with prices ranging from $25-$110 – That’ the Pride spirit: looking fabulous yet supporting a good cause.